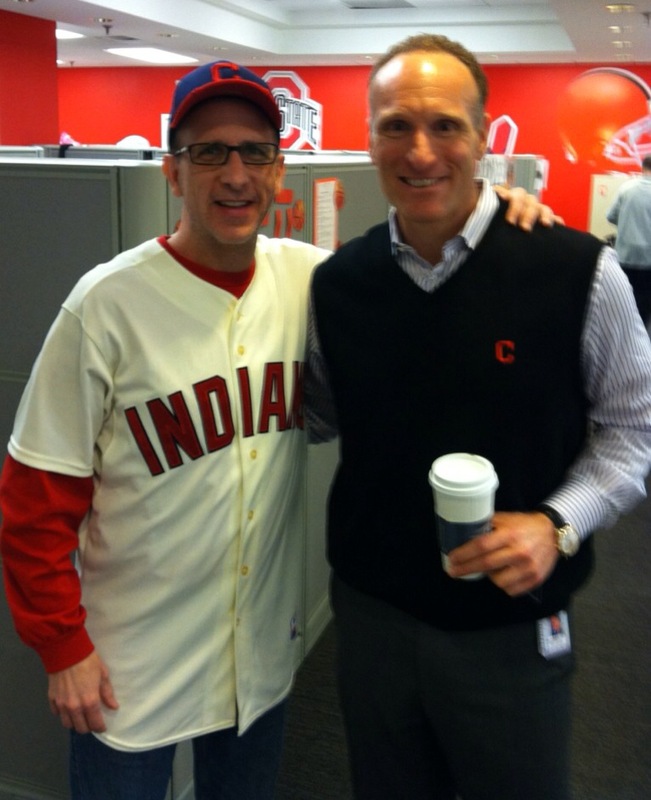 Cleveland, OH—The Cleveland Indians today provided statements from Indians Owner PAUL DOLAN and departing Indians President MARK SHAPIRO regarding his decision to become Toronto Blue Jays and Rogers Centre President & CEO following the completion of the team’s 2015 season. Through my twenty four years as part of the Cleveland Indians, I have developed a deep emotional and civic attachment to the Indians organization and the Cleveland community. The root of those ties is in the personal relationships that my family and I have built. While weighing those bonds carefully and seriously, I feel the unique and compelling nature of the Blue Jays President/CEO position warranted my consideration. This position represents a unique opportunity for me and one that I felt was the right new challenge to undertake. With mixed emotions, I will assume the Toronto Blue Jays CEO position upon the conclusion of the 2015 season. As the Indians organization moves forward, I am confident the current leadership represents a strong foundation to field a championship caliber team moving forward. The relationships we have enjoyed here will be lifelong bonds and will ensure that I will always be a fan of the city of Cleveland and the Cleveland Indians organization. Given the person that Mark is, the significant leadership and values that he has brought to the organization and with everything he has helped us accomplish, it will be extremely difficult to see him leave. However, I hope that this new challenge brings happiness and fulfillment for Mark and his family. As we move forward, I will not be seeking an external replacement for Mark and will continue to rely on the existing strong leadership group to guide us forward. Mark and I are confident that moving forward through this transition, we have a very strong foundation in place to build championship level success on and off the field. 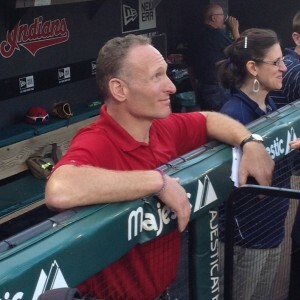 I didn’t always agree with the moves he made as the Tribe’s G.M. 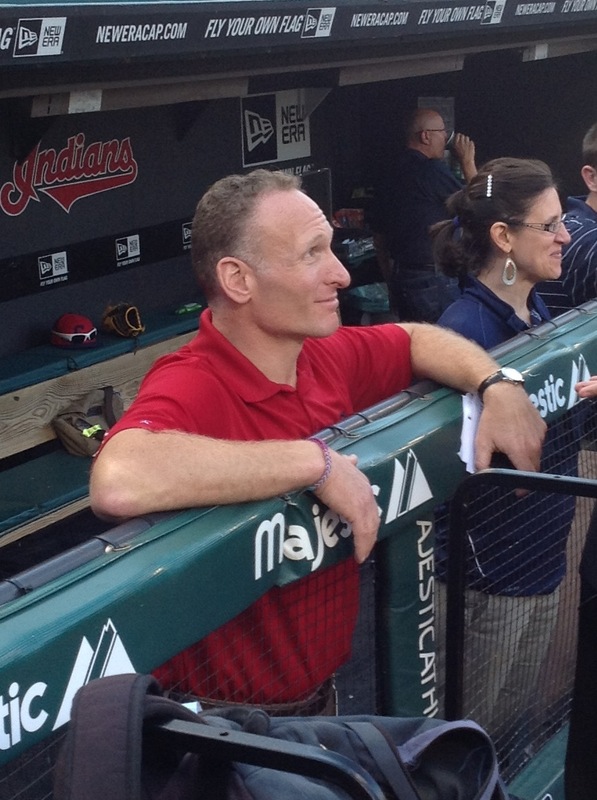 and President, but you’re not going to find a better person in all of major league baseball than Mark Shapiro. He made some good moves and some bad ones, and I never held back on voicing my displeasure with the bad moves on the radio and the great thing about Mark was he never took it personally and realized it came with the job. He never held it against me, he may have questioned me about it, but he knew it was nothing personal, just me doing my job. That’s why I have the utmost respect for the man who is leaving the Indians organization after 24 years to go join the Blue Jays. A very good baseball mind in many ways, who was handicapped at times with the Indians because of a payroll restrictions. I’m curious to see how he does now with deeper pockets to dig into with the Blue Jays, as he runs that organization as team President. It is expected to be announced maybe as early as today and has been reported all over the internet and social media. I’ve been contacted by TSN 1050 Toronto radio to do an interview talking about Shapiro today. Best of luck to you and your family Mark and thanks for your professionalism, friendship and some great memories as we climbed the ranks together in different industries over the years in Cleveland. The complete 2015-16 Cavaliers schedule can be found at cavs.com/schedule. 10 games on ESPN (Oct. 30 vs. Miami, Nov. 4 vs. New York, Dec. 4 at New Orleans, Jan. 8 at Minnesota, Jan. 15 at Houston, Feb. 10 vs. L.A. Lakers, March 4 vs. Washington, March 23 vs. Milwaukee, April 1 at Atlanta and April 6 at Indiana). 6 games on ABC (Dec. 25 at Golden State, Jan. 23 vs. Chicago, Jan. 30 vs. San Antonio, Feb. 21 at Oklahoma City, March 13 at L.A. Clippers and April 9 at Chicago). 9 games on NBA TV (Nov. 13 at New York, Dec. 1 vs. Washington, Dec. 5 at Miami, Dec. 8 vs. Portland, Dec. 23 vs. New York, Jan. 25 vs. Minnesota, Feb. 29 vs. Indiana, March 7 vs. Memphis and April 11 vs. Atlanta). In addition, the Cavaliers will have nine games aired nationally on ESPN Radio (Dec. 25 vs. Golden State, Jan. 14 at San Antonio, Jan. 18 vs. Golden State, Jan. 23 vs. Chicago, Jan. 30 vs. San Antonio, Feb. 21 at Oklahoma City, March 13 at L.A. Clippers, March 29 vs. Houston and April 9 at Chicago). For the 12th time in franchise history, theCavaliers will play on Christmas Day as they go on the road to square off against the defending NBA champion Golden State Warriors. OnMonday, Jan. 18, the Warriors will visit The Q for a special Martin Luther King, Jr. Day game. The regular season will conclude at The Q on Wednesday, April 13 when the Detroit Pistons come to town. Marquee opponents coming to Cleveland only once this season include the Oklahoma City Thunder on Thursday, Dec. 17; the Los Angeles Clippers on Thursday, Jan. 21; the San Antonio Spurs on Saturday, Jan. 30; the Memphis Grizzlies on Monday, March 7; and the Houston Rockets on Tuesday, March 29. This season’s 82-game schedule again consists of 41 home and 41 road games. Each Eastern Conference opponent will match up against Cleveland four times with the exception of Toronto (one home, two road), Miami (one home, two road), Boston (two home, one road) and Atlanta (two home, one road). Each Western Conference opponent will play the Cavaliers twice, once at The Q and once on the road. 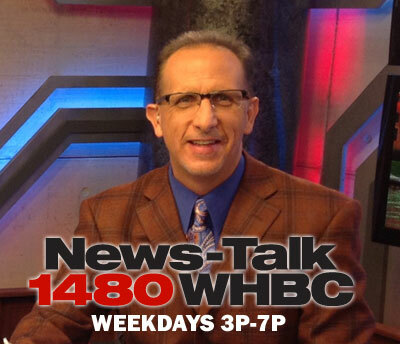 All Cavs games will again be broadcast on the Cavaliers flagship radio station WTAM 1100 AM, La Mega 87.7 FM (Spanish) and across the Cavaliers Radio Network. Details regarding the Cavs local television schedule on FOX Sports Ohio will be announced at a later date. 19 sets of back-to-back games, including two home-home sets, two home-road sets, five road-home sets and 10 road-road sets. Three matinee games at home this season, which include Nov. 8 vs. Indiana (3:30 p.m.), Dec. 20 vs. Philadelphia (3:30 p.m.) and April 3 vs. Charlotte (3:30 p.m.). Five consecutive home games from Feb. 5-Feb. 18 highlighted by visits from the Los Angeles Lakers on Feb. 10 just before the All-Star break and Chicago Bulls on Feb. 18. 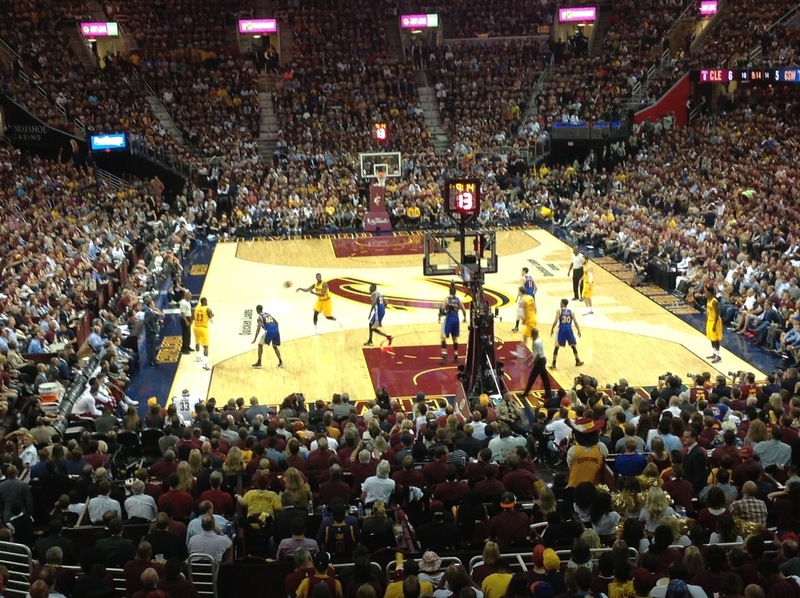 The Cavs also have a pair of four-game home stands from Nov. 4-10 and Feb. 29-March 7. Their longest road trip, spanning six games from Jan. 6-15, is highlighted by a back-to-back set with the San Antonio Spurs (Jan. 14) and Houston Rockets (Jan. 15). Eight times the Cavs have two consecutive road games, twice they have three road games in a row, two times with four consecutive road contests and one six-game road trip. One occasion of four games in five nights from Dec. 25-29. From Jan. 18-Feb. 18, the Cavs will play 11 of 15 games at The Q.
Cleveland will play 10 of 12 games on the road from Dec. 25-Jan. 15, as well as eight of 11 games on the road from March 9-March 26. Thursday, October 8 – @ Philadelphia at 7:00 p.m.
Sunday, October 18 – @ Toronto at 6:00 p.m.
*Denotes Cavs home game at neutral site. Acquired INF CHRIS JOHNSON from the Atlanta Braves in exchange for OF MICHAEL BOURN, OF NICK SWISHER and cash. Johnson, 30, owns a career batting average of .280 (693-2478) with 139 doubles, 10 triples, 57 home runs and 308 RBI across seven Major League seasons with Arizona and Atlanta after debuting with Houston in 2009. He finished second to Michael Cuddyer in the 2013 National League batting race, hitting a career-best .321 (165-514) with 34 2B, 12HR & 68 RBI and collected single-season career-bests that season in hits, doubles and runs (54). The right-handed hitting, Ft. Myers, FL native missed most of this May with a fractured left hand and is batting .235 (36-153) with 7 doubles, 2 home runs and 11 RBI in 56 games. He is hitting .323 (20-62) with an OPS of .747 against left-handed pitching this season and has appeared in 23 games at third base and 20 games at first base for the Braves. He owns a career batting average of .313 (201-642) off LHP with a .788 OPS. Swisher spent nearly three seasons with Cleveland, hitting .228 (230-1010) with 51 2B, 2 3B, 32 HR and 113 RBI in 272 games. Between two stints on the D.L. this year he has batted .198 (20-101) with 4 2B, 2 HR & 8 RBI in 30 games. 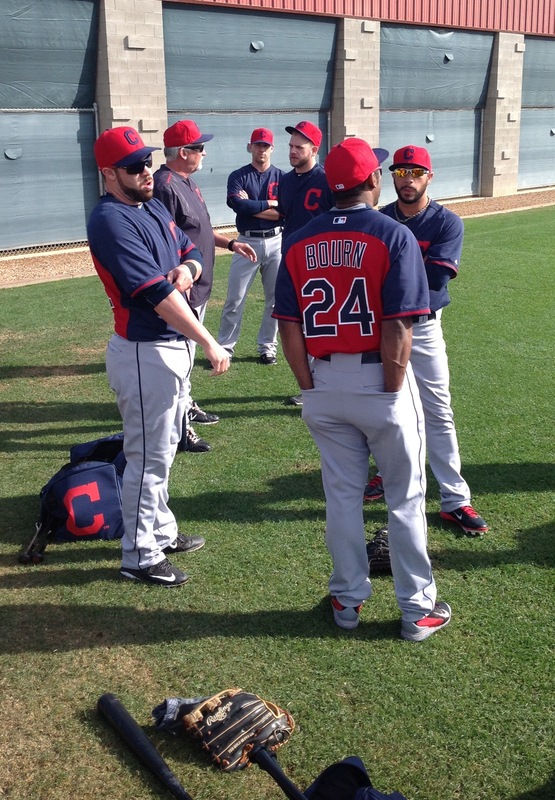 Bourn also spent nearly three seasons with the Indians, batting .257 (323-1258) with 50 2B, 17 3B, 9 HR, 97 RBI and 46 steals in 331 games. So far this season he has batted .246 (71-289) with 12 2B, 1 3B, 19 RBI and 13 stolen bases in 95 games in 2015.